It’s now five days since loving Swami, Sri Sathya Sai Baba, paid me a visit and I’ve had plenty of time to reflect and try to understand the purpose of it all. Reflecting now over, I would like to share my thoughts with you. There was three things in my wondrous Sai dream that stood out for me and conveyed a personal message. Firstly, why would Swami initially be laying down on a bed asleep? I’m sure that most devotees know that Baba never slept, so why would he show himself as being asleep? Having contemplated this the following interpretation came to me. Sai always used to tell us that he was in our hearts and there was no need to travel to him. Also, this entire experience took place on an inner level, so it was Baba’s way of showing me that he IS most certainly within me. But what about the sleep thing? Well, it’s also kind of common knowledge that the planet is going through a huge shift at the moment; a shift that is instigating an awakening of the human race. It’s also true that God resides in us all, not just a select few. So the fact that Swami showed himself asleep and then awake within me is symbolic of my own personal awakening at this time; an awakening to a greater understanding. 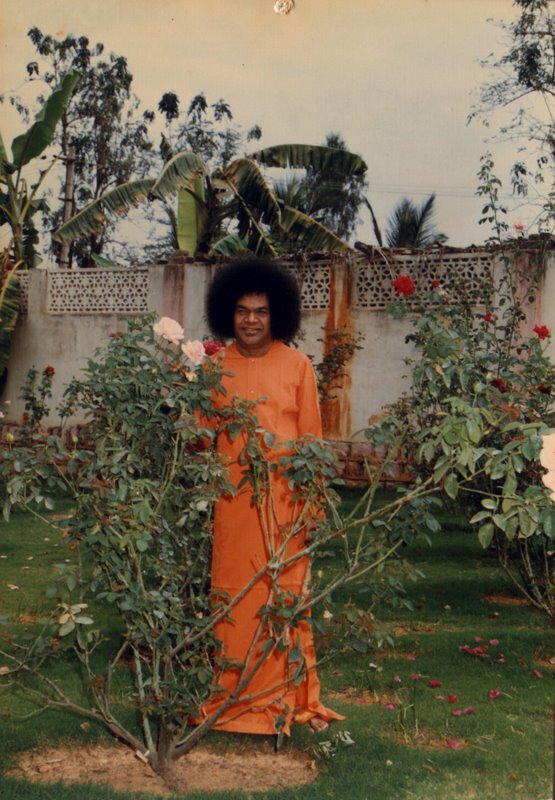 Secondly, I said to Swami “I have been missing you” which is not an expression that I would normally use. However, I HAVE actually been missing him, but not in the way that you would normally associate with a phrase like that. My recent post “Why Does Anger Exist?” (see link below) explains that I have been struggling with my energy levels for some time now. Well, unfortunately, this has interfered with my spiritual practice and I have strayed slightly from the path. So, in that sense, I had most certainly been missing Sai. In my frustration I had been missing his teachings in the sense of not taking them in. Finally, there was the business of Swami speaking and me not being able to understand the sounds that were coming from his mouth (apart from that one sentence “try not to worry so much”). I described these sounds as being like jumbled noises coming from a radio. Having also contemplated on this I feel that Baba was indeed giving me invaluable spiritual guidance, but he was communicating with me on a much deeper level than I was able to comprehend. The whole experience could be likened to an astral type experience, hence I was able to hear sounds although not with any clarity. I am convinced that his guidance penetrated much deeper within me, in order than I may call on it in the future. On a purely physical level I doubt that I would have been able to hear anything at all. This entry was posted in From The Heart and tagged astral experience, awakening of the human race, Bhagawan Sri Sathya Sai Baba, Sai Baba, Sai Dream, Sri Sathya Sai Baba by Bloggin With Rich. Bookmark the permalink. Love it!Baba speak to my also.